If you’re looking for a scrumptious dessert that is dairy and gluten free, then Pavlova is what you’re looking for. This recipe produces a pavlova that is crispy and crunchy on the outside and resembles marshmallow fluff on the inside. Pair it with any seasonal fresh fruit that you like. Non Dairy Whipped Topping (Orly Whip, in South Africa or Rich’s Whip, in the states). If you can tolerate dairy, you can use regular whipping cream. 2. Using a Kitchenaid or electric hand beaters, beat egg whites with a pinch of salt until frothy. 3. 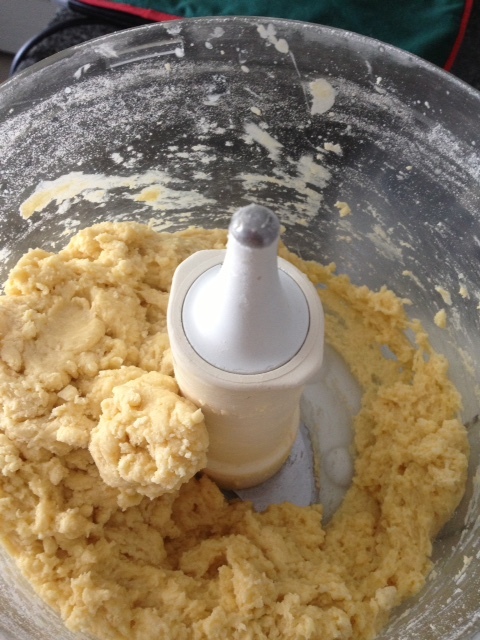 Gradually add the sugar while continuously beating. 4. Add the vanilla and beat until stiff. 5. Add the vinegar and beat again for a few minutes. 6. Quickly beat in the sifted cornstarch. 7. Line a baking sheet with parchment paper and pile mixture into the center, spread it into a circle and raise the side to support the filling. 8. Lower the oven temperature to 125°C/250°F and place pavlova into the oven. 9. Bake for 40 minutes, turn the oven off and leave for an additional 40 minutes or until firm and crispy on the outside. 10. Allow to cool completely, preferably overnight, and fill with whipped topping. 11.Top with sliced fresh fruit. 2. In a medium sized mixing bowl add the chopped dates, chopped pecans and powdered sugar. 3. Mix well until all combined. 4. Add the egg white and mix well. 5. Place tablespoon sized scoops on a baking sheet spread an inch apart. 6. 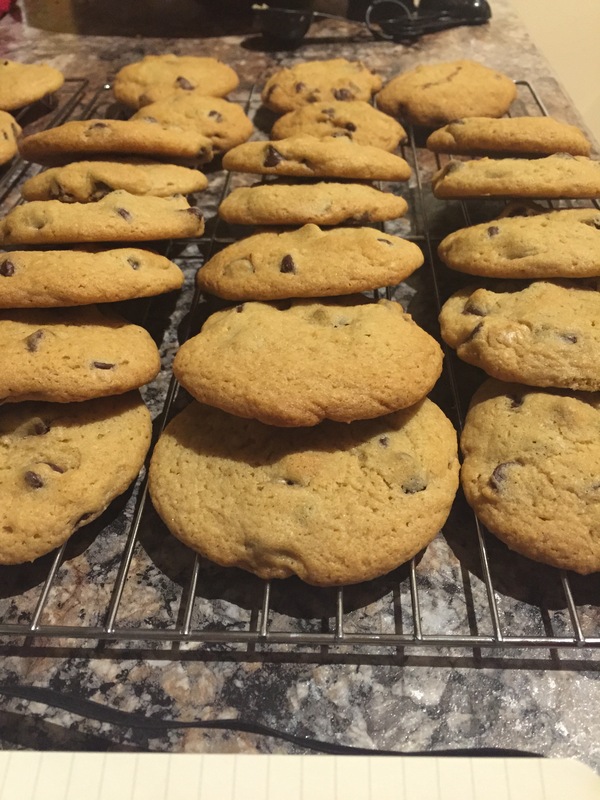 Bake for 10-12 minutes or until cookies are lightly golden. Whisk until blended and turns bright yellow, about 30 seconds. Add oil (vegetable oil for mayonnaise and olive oil for aioli), a few drops at a time using ¼ cup measure while whisking, about 4 mins. When this is well incorporated, add the additional ½ cup oil in a steady stream while whisking until thick, about 8 mins. Cover and chill in the fridge. Can be made 2 days ahead. Combine all sauce ingredients in a bowl to serve. 1. Place a serving of rice in the bottom of a bowl, add shrimp, carrots, cucumber, ginger, avocado and beansprouts. 2. Sprinkle with green onion, cilantro and sesame seeds. 3. Drizzle sauce over rice bowl. 2. Add oil to wok and add chopped garlic, tofu, shrimp, sprouts and green onion. Stir until shrimp is pink and cooked. 3. Add lime juice, fish sauce, sugar, tamarind paste and noodles. If desired, you can add chopped thai chili peppers for added heat. 4. Stir continuously to combine, cook for 3-4 mins (until noodles are soft). 5. Push noodles to the side and add eggs, gently scramble until cooked. 6. Combine with noodles and serve. 7. Garnish with fresh lime, peanuts and sprouts. Sift together flour, baking powder, cocoa, sugar and salt. Make one large well and 2 small wells. Place oil in large well and vinegar and vanilla in smaller wells. Add eggs and water and beat until well combined. Place in a greased rectangle Pyrex or baking pan [about 13”(33cm) x 9”(23cm)]. Bake for 40 mins or until toothpick inserted comes out clean. Melt Vegan Butter and cocoa powder over low heat. Stir until well blended. In a separate bowl mix together powdered sugar and egg white. 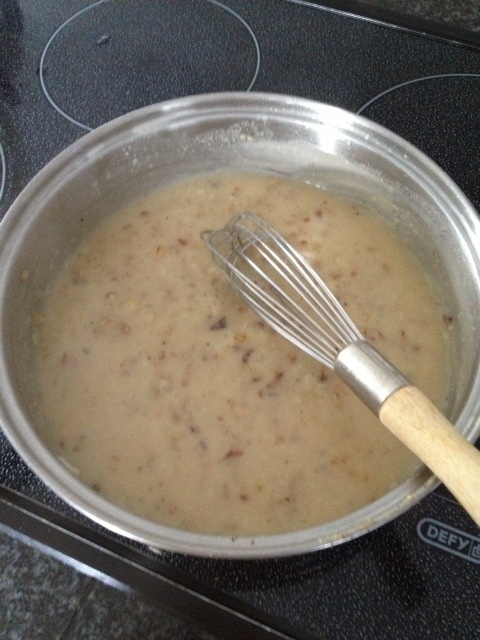 Add the above mixture to the butter, cocoa mixture and stir over low heat until blended. Pour over cooled cake and spread to cover entire cake. This is a very moist dense pumpkin bread due to the high fruit content and low fat content. The recipe can also be made into muffins – adjust baking time to 20-30 minutes. Preheat the oven to 180°C/350°F. Spray 3 mini loaf pans with non stick spray. Sift flour, baking powder, baking soda, spices and salt into a medium mixing bowl. Add the dry ingredients into the wet ingredients and mix well. Add the chocolate chips and combine. Spoon evenly into loaf pans. Bake for 35-45 minutes. Insert a toothpick into the loaf and if it comes out clean the bread is done. Chicken Pies are wonderful to have in the freezer for those instant meals. I make a batch and get out about 22 pies. Once encased in the pastry I place them on a baking sheet on non stick paper and place them in the freezer. When I want a meal I take them out the freezer, paint with egg and bake from frozen. I often just serve them with a fresh garden salad. 1. Sift flour and salt. 2. Grate margarine into flour using a cheese grater. 3. 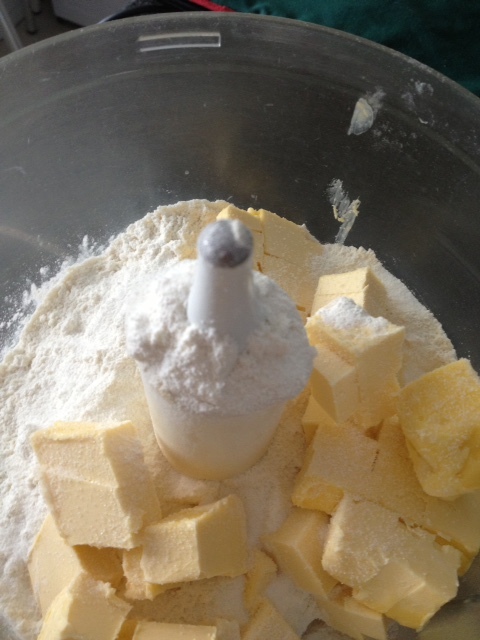 Cut through with a knife to combined the margerine and flour mixture. 4. Add boiling water and bring together quickly with a knife. Sometimes it helps to use two knives and cut against each other to combine. 5. Once combined form into a ball and refrigerate until required or freeze for use at a later date. Take one whole chicken and place it in a pot with one whole onion, 2 carrots and salt & pepper. Cover all ingredients completely with water. Bring to the boil and simmer for 20 minutes. Switch off and allow to cool in the stock. Once cold remove skin & bones and save all the meat. Keep the cooking liquid and use it for the sauce. Filling: fry finely chopped onion in oil. 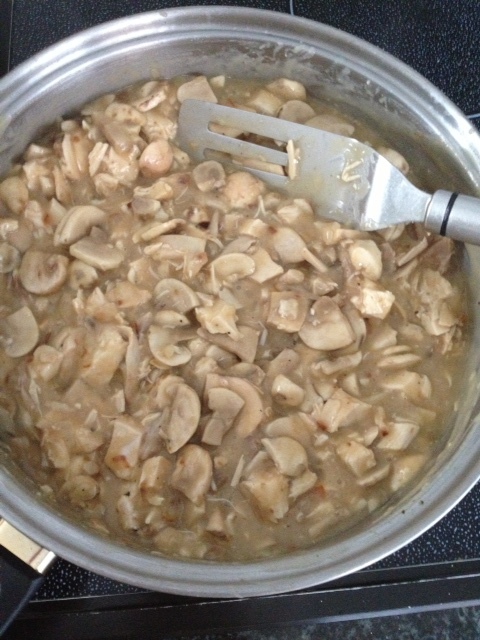 Add mushrooms and fry till limp. Add flour and cook for one minute. Add liquid from the chicken and the stock cube and stir till thickened. Start with 1 cup and add more till the sauce is like heavy cream and smooth. Fold in flaked chicken. The mixture must be very moist but thick. Allow to cool. Roll out and cut out rounds. Place chicken in center of pastry, brush sides with egg and fold over to seal well. Brush top with egg and bake 180 for ½ hour or until pastry is golden. Combine flour, salt and baking soda in a small bowl. With either an electric had mixer or a stand mixer, beat the butter, sugar and vanilla in a large mixing bowl until pale yellow, light and fluffy. Once combined slowly add eggs, one at a time making sure to beat well after each egg. 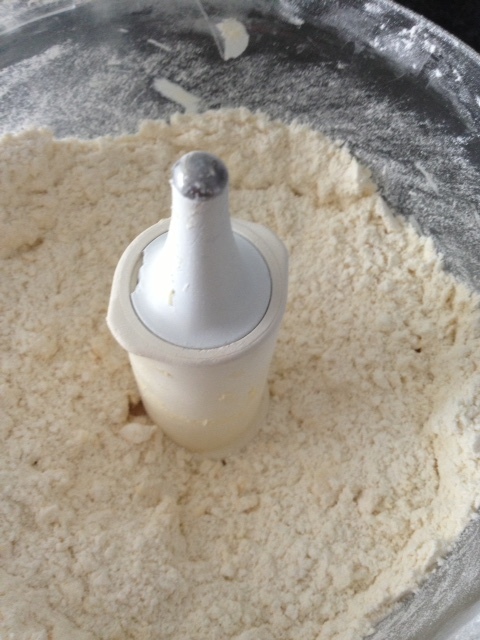 Gradually add the flour mixture, spoonful at a time until everything is well combined. Mix in the chocolate chips by hand. Place ¼ cup mounds evenly on a baking sheet lined with parchment paper and make for 9-12 minutes or until lightly golden brown.